Welcome to the Ultimate Countryside Manor! 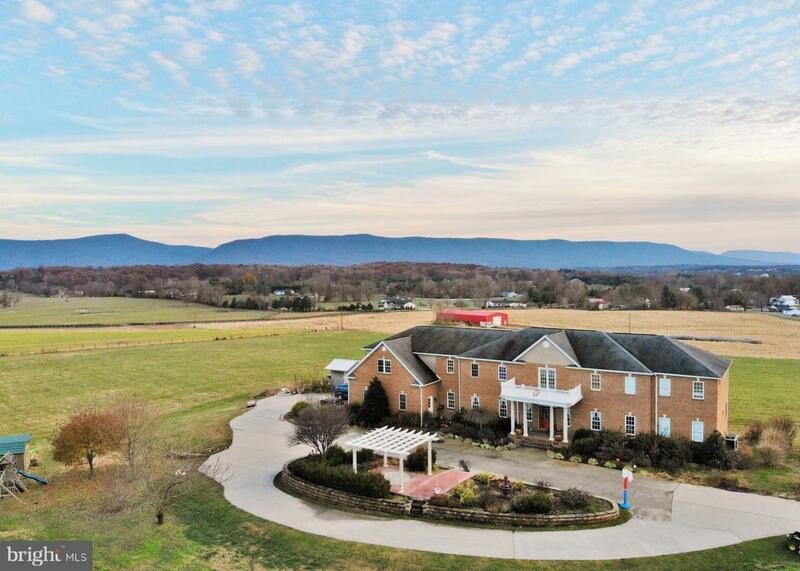 Nestled in the Shenandoah Valley, this 5,000+ sq. ft Home boasts 5 Master Bedroom Suites, Panoramic Mountain Views, and is surrounded by rustic farms and tranquil fields. The location is Perfect! Only Minutes from I-81, the cozy small town of Edinburg, a dozen restaurants, Walmart, and Lowes. Two massive decks provide ample entertainment and relaxation space overlooking the fields and mountains...bring your coffee cup and favorite book! Inside you will find a custom Kitchen with granite countertops, commercial gas range and range hood, oversized island and island sink, an office space, and built-in wine cooler! The whole family will feel right at Home sitting at the Large Breakfast Nook and Bar with lots of windows, or the separate Dining Room, Living Room with Gas Fireplace, Sun Room, and HUGE Family Room and Entertainment Room Upstairs! Nice Main Level Master Suite w/ Deck Access, Walk-In Tile Shower w/ Rain Shower Faucet, Water Closet, and Granite Dual Vanities. PLUS and Amazing Oversized Walk-In "His and Hers" Closet. Upstairs houses Four Master Suites, each with Walk-In Closets and Shower/Tub Combos. Enjoy White and Red Oak Hardwood throughout. Three Bay Attached Garage to the Main Level, and a Fourth Bay on the lower level! The unfinished Basement features many extra possibilities with the start of an Theater/Media Room and is plumbed for an extra bath. The Manor is also constructed with an Elevator shaft providing the option if desired! Another Feature are Solar Panels installed, ready for Hook Up! A Third option is Radiant Hot Water Heating installed, ready for an outdoor wood stove if desired! So many possibilities with this Amazing Home. It is a Must See!! !